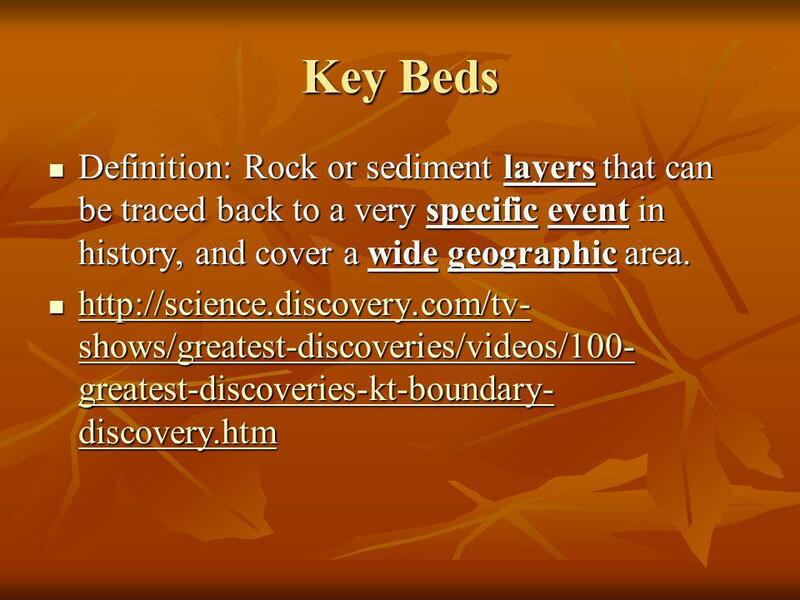 3 Key Beds Definition: Rock or sediment layers that can be traced back to a very specific event in history, and cover a wide geographic area. Certain elements have radioactive properties. That is, they lose atomic parts from their nucleus We call this losing of parts radioactive decay When they lose protons, the element changes to a whole new element When they lose neutrons, they become a different isotope of the same element, with a new atomic mass. 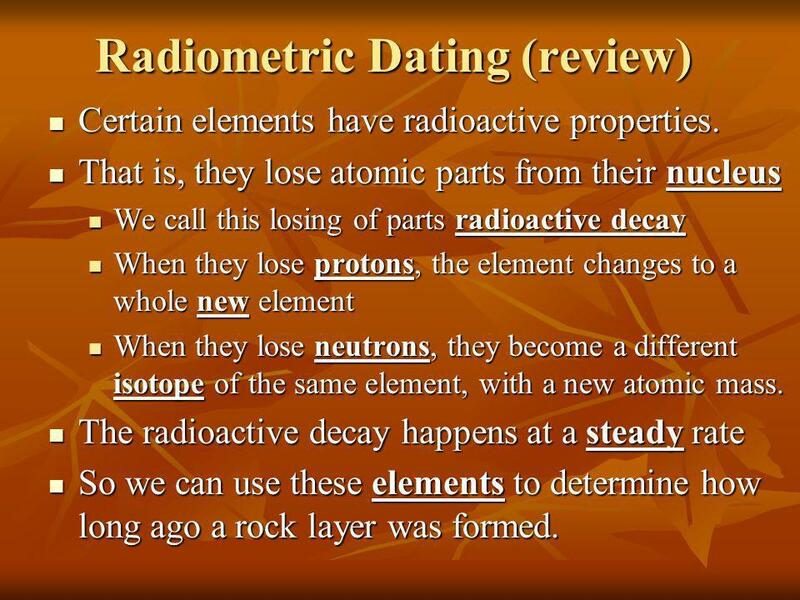 The radioactive decay happens at a steady rate So we can use these elements to determine how long ago a rock layer was formed. 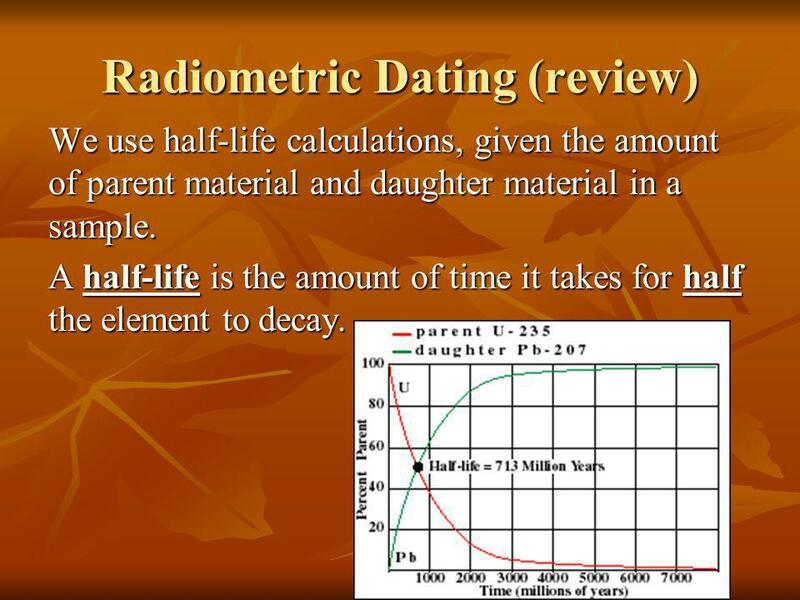 We use half-life calculations, given the amount of parent material and daughter material in a sample. A half-life is the amount of time it takes for half the element to decay. 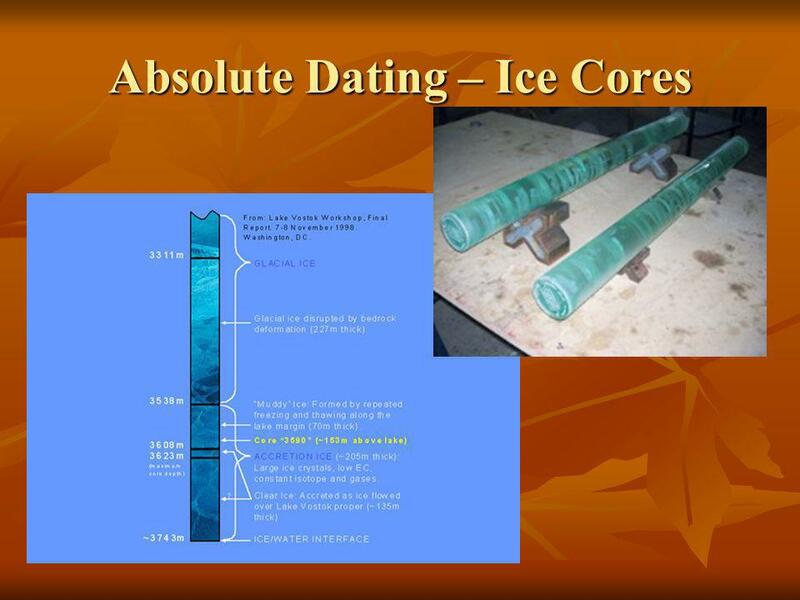 Ice Cores – created by drilling hollow tube through ice up to several kilometers thick Drilling down through ice gives a record of seasonal events and atmospheric events. 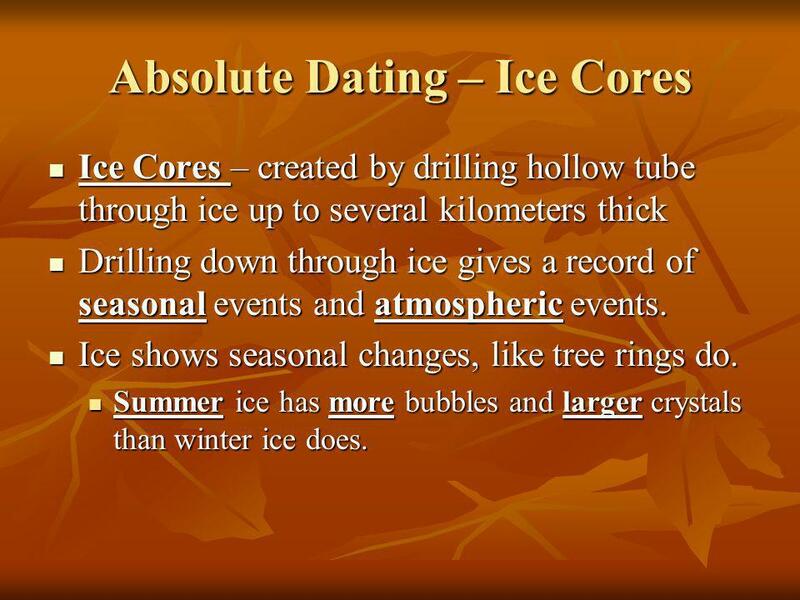 Ice shows seasonal changes, like tree rings do. Summer ice has more bubbles and larger crystals than winter ice does. 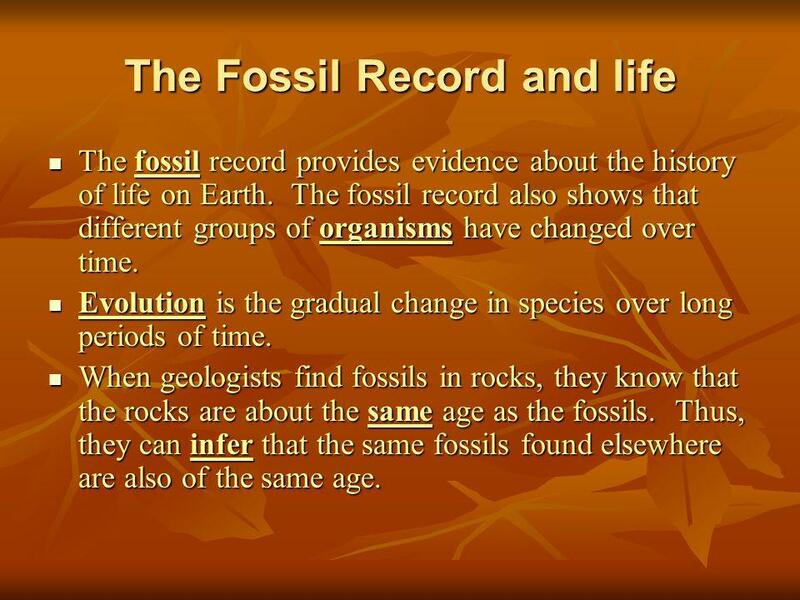 The fossil record provides evidence about the history of life on Earth. 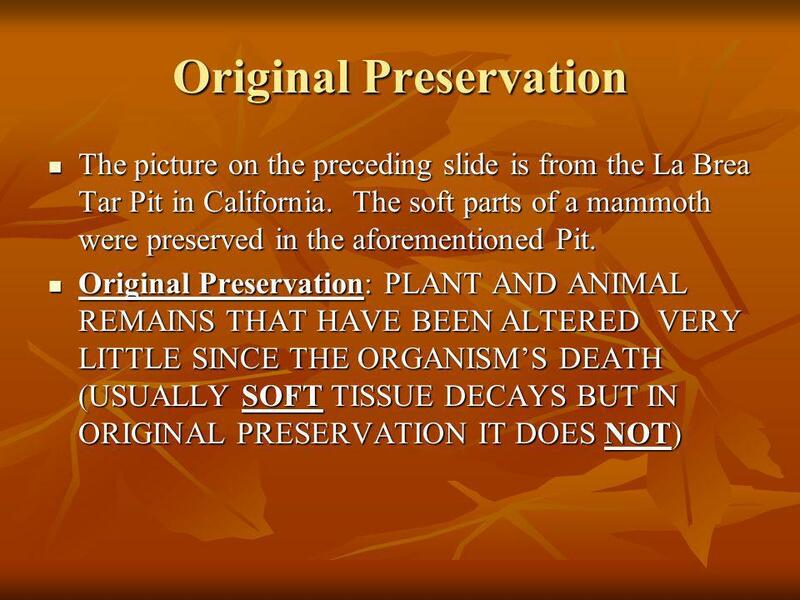 The fossil record also shows that different groups of organisms have changed over time. Evolution is the gradual change in species over long periods of time. 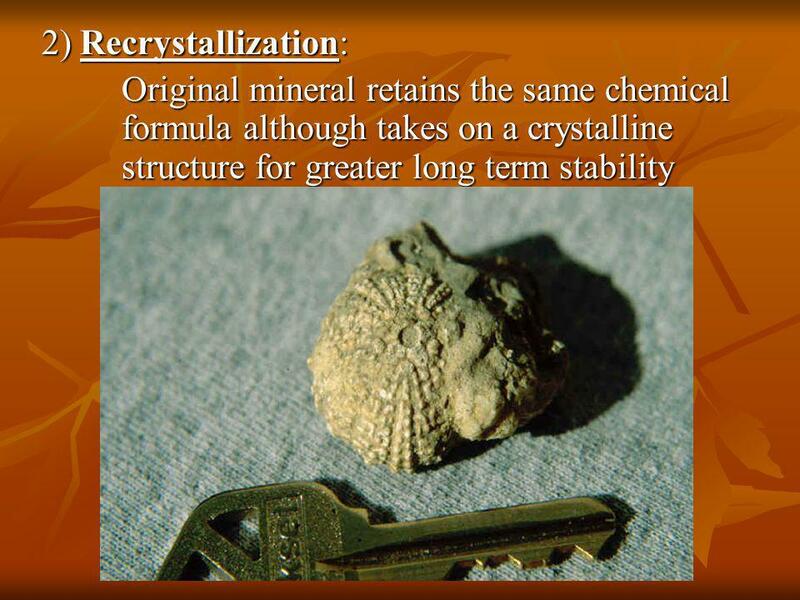 When geologists find fossils in rocks, they know that the rocks are about the same age as the fossils. 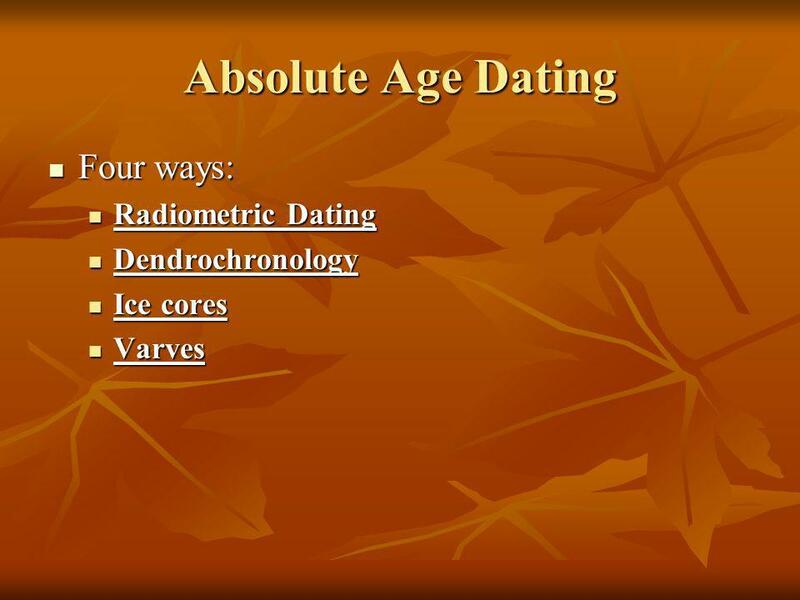 Thus, they can infer that the same fossils found elsewhere are also of the same age. 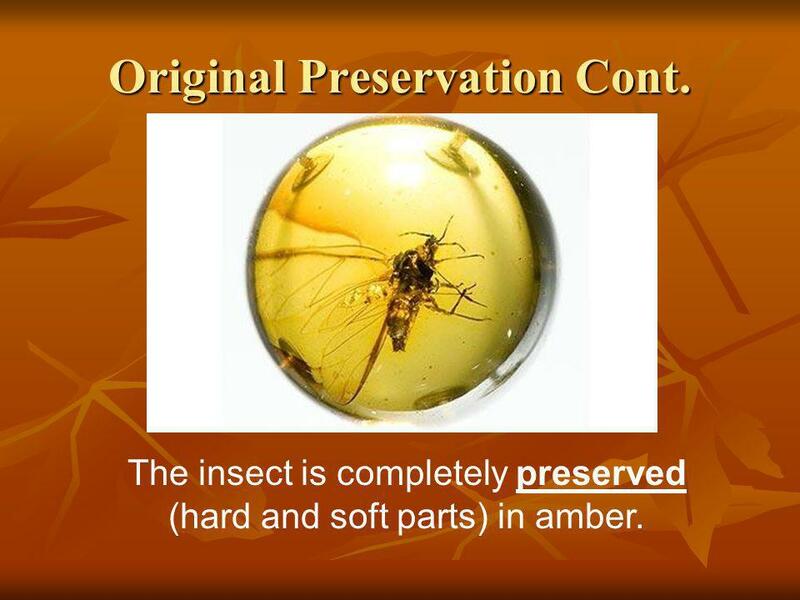 The insect is completely preserved (hard and soft parts) in amber. 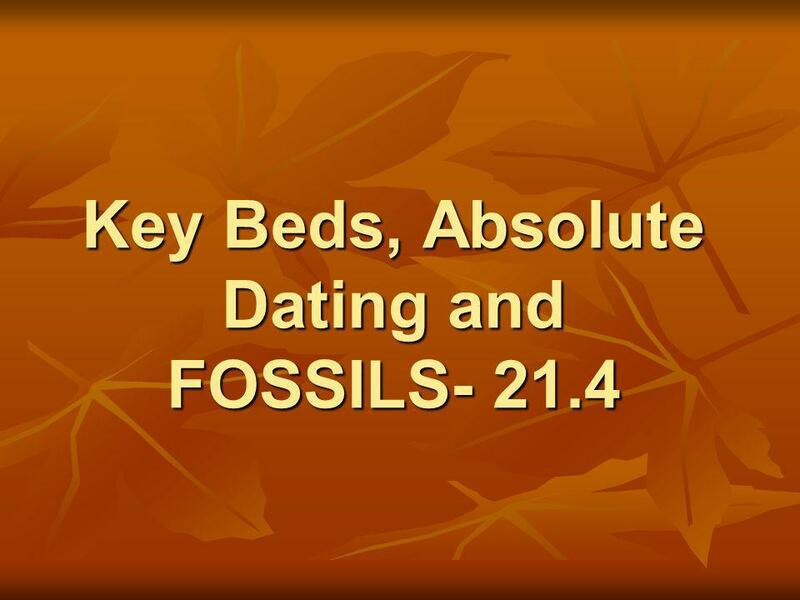 Download ppt "Key Beds, Absolute Dating and FOSSILS- 21.4"
II. 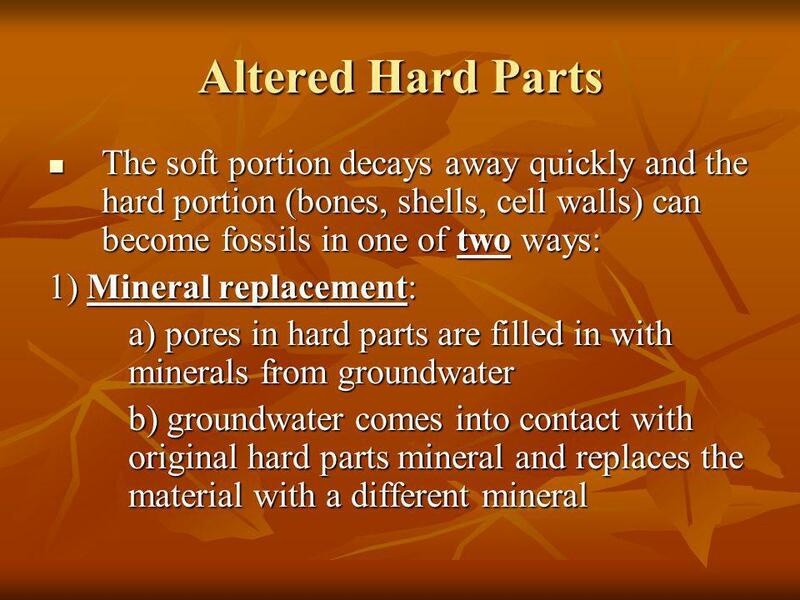 Why Do We Study Fossils Found in Rocks? 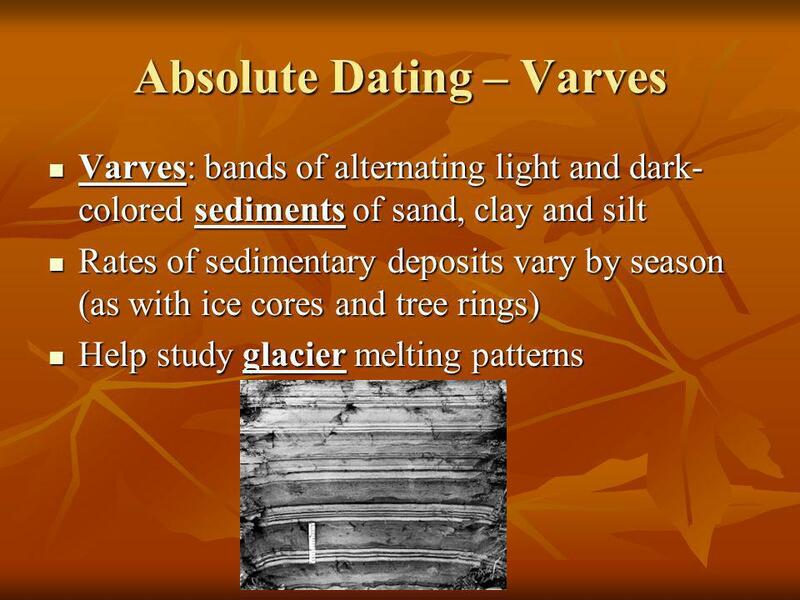 Fossils Mr. Skirbst Earth Science Topic 24. 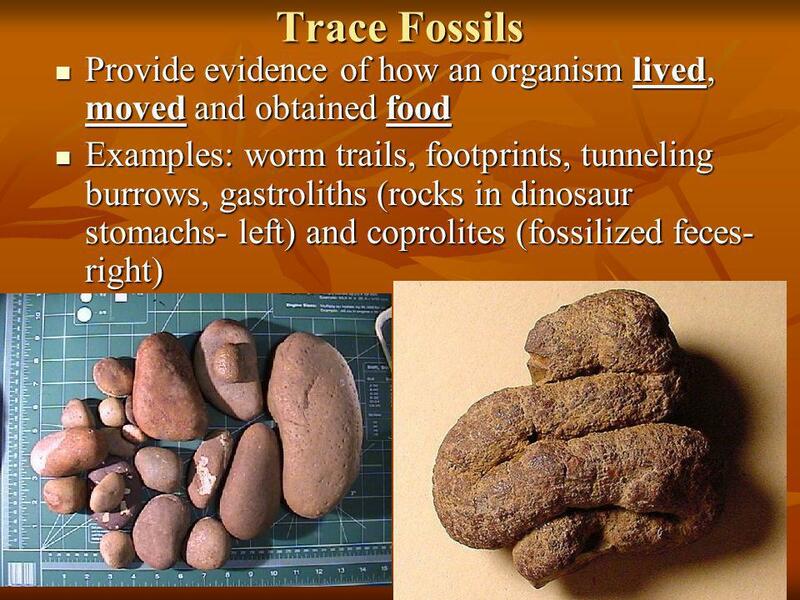 Fossils The preserved remains or evidence of a living thing. 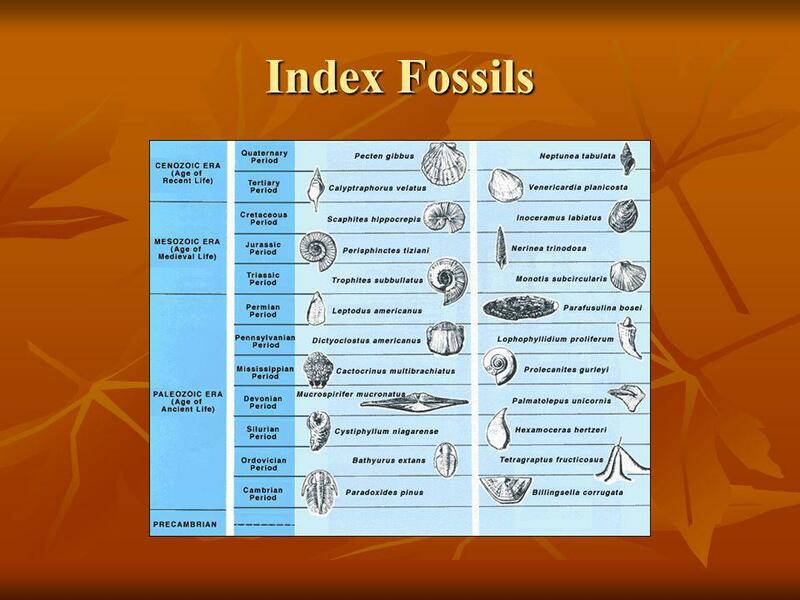 Notes on Fossils (from top left) are of a ammonite (marine); T-Rex; an ancient fish and a trilobite (marine). Earth/Space. 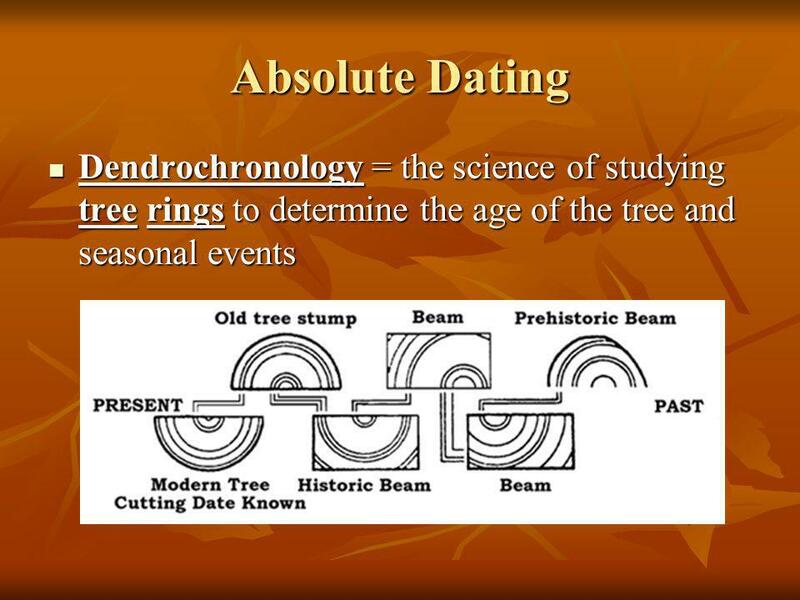 The study of ancient life! 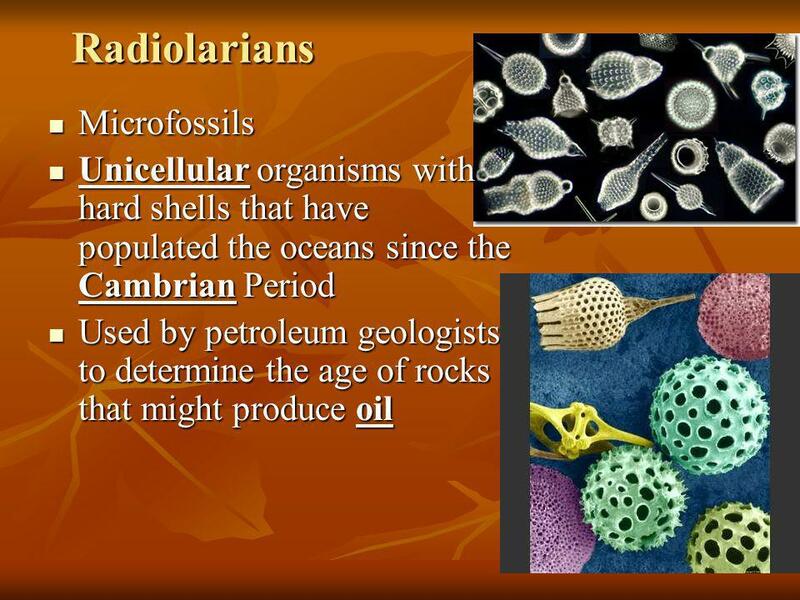 Notes Science Fossils What Are Fossils? 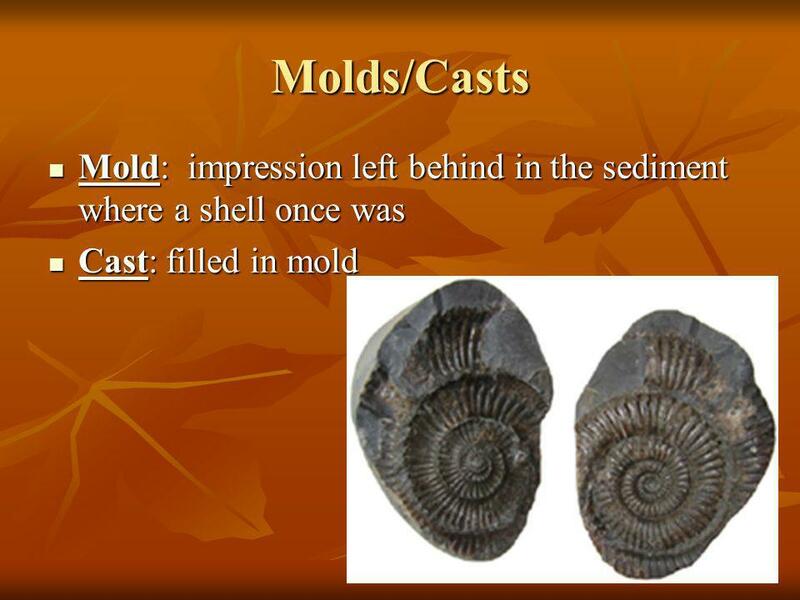 Bellwork 9/20/10 What do you think a fossil is? Fossils. 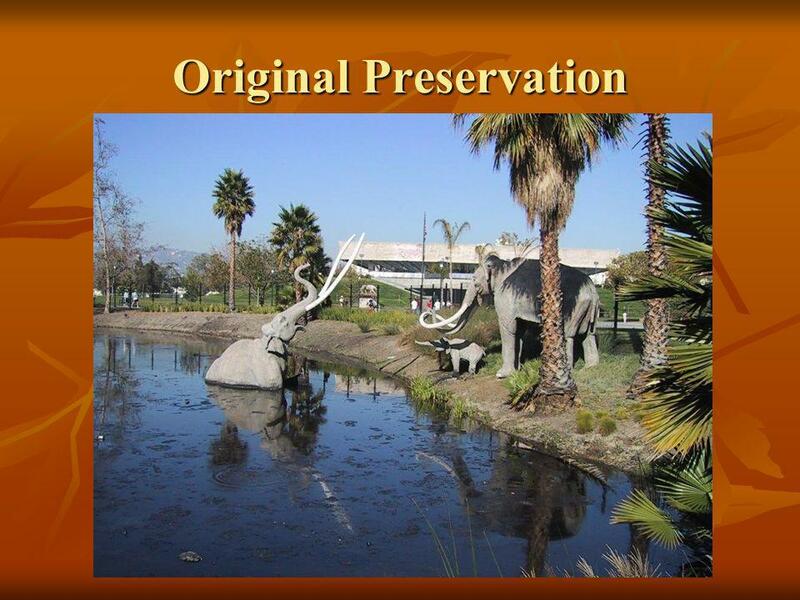 livingFossils - the preserved remains or evidence of living things.